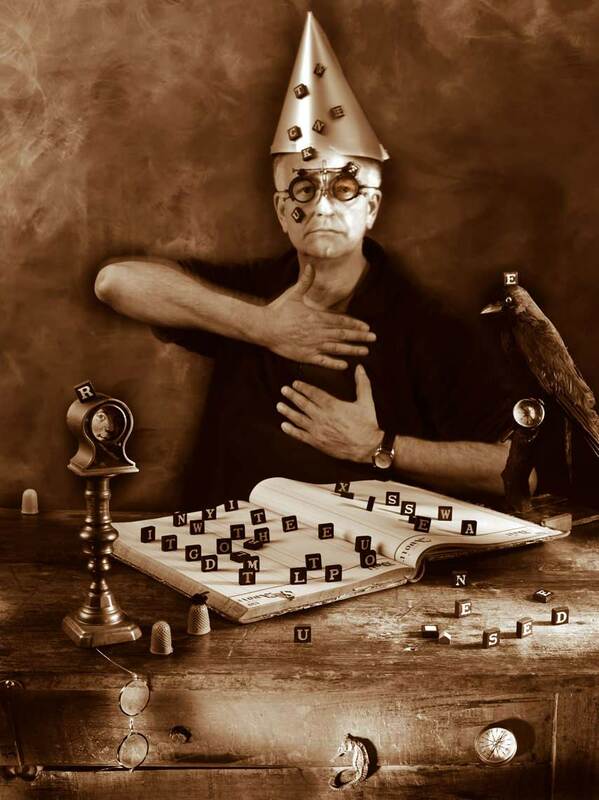 Sepia self portrait of the surrealist photographer Paul Biddle, seated at a table with a cone shaped hat with alphabet letters all over it. On the table is a book with wooden alphabet letters placed on it. A Jackdaw is perched nearby overlooking the whole mysterious scene trying to solve enigma and anagram at the same time.